So What Happened to the Ohio Brake Manufacturer Who decided to Go Lean? 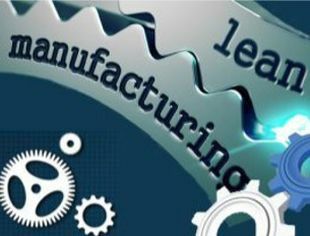 Some people believe that lean manufacturing is incompatible with computerized systems, but that's not true. 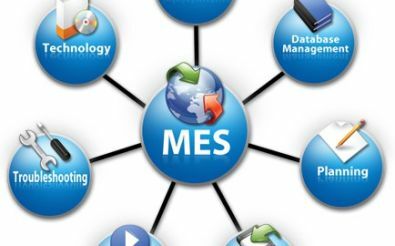 Lean is incompatible with complicated computerized processes that add non-value-added steps to production, but a well-thought-out solution, like MES, can provide easy, simple and efficient solutions to some common manufacturing problems. That's the case at Carlisle Brake and Friction. Carlisle Brake and Friction is a 101-year-old company. While the overall company has $4 billion in sales, the Brake and Friction division has sales of around $300 million and employs about 1,600 people. 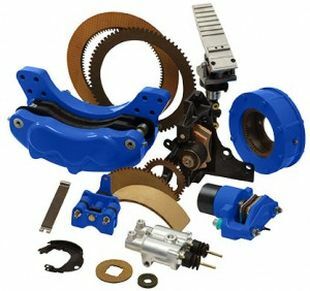 The company manufactures braking products for construction, aerospace, agriculture, military, racing, mining and other on-and-off-highway uses. Like many traditional manufacturers, Carlisle was facing increasing competition from off-shore competitors in low-wage regions. Operations Executive Management was looking to find a way to increase the company's ability to compete by increasing manufacturing efficiency. The problem was that the physical footprint of Carlisle's manufacturing process was adding significantly to product costs. A plant in Tulsa, Oklahoma provided parts to another plant in Medina, Ohio for finishing, so parts required transportation between plants for the final steps. The need to buffer for the transportation time increased WIP inventories. Another issue was the process flow. Some items required careful coordination to ensure matched sets of components -- for example, right and left sides of friction components. Products could be manufactured on multiple production lines, and some machines had limited capacity. These factors combined to make scheduling complex and difficult, and WIP inventories were high. The first step was to map the "current state" value stream of each product line. 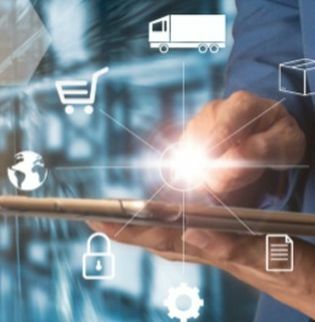 The value stream mapping covered every step in the process from receiving material from the supplier to shipment of the finished products to customers. They looked at every step, breaking the process down into specific operations and delving into the details. The next step was to identify how to smooth demand variability and create the future production layout or as it is known at Carlisle the "to be" value streams. For the wet friction line, the value streams were broken down by product size: small, medium, large and other. For button and dry friction products, it made more sense to group products by customer or region. Next came project planning. Carlisle recognized that it could never achieve its objectives while shuttling parts between plants, so the decision was made to shut down the Tulsa operation and move the machinery and processes to Medina. But before work could begin, the team had to estimate the total costs of the project and develop a strong ROI case to justify the investment. The "to be" value streams had shown that the company would need to add additional equipment -- sometimes duplicating machinery they already owned and sometimes upgrading to newer, more efficient equipment. This step was necessary to ensure that the value streams were each independent of the others. Crossing value streams disrupts a product's flow and raises costs, so the team had to prove that it was less expensive and more efficient to duplicate equipment rather than to share it; which was the traditional approach taken in the past. This proved true even in cases where they had adequate capacity on existing equipment because it enabled the company to deliver product on time more consistently. These changes allowed Carlisle to minimize inventory by decreasing WIP time, producing parts faster and on a one-to- one basis with the Sales Order line item. The lean project had several major sub projects: shutting down Tulsa, moving Tulsa's equipment to Medina, and expanding the Medina plant by 158,000 sq. ft., installing new equipment and setting up the newly designed value streams. All told, Carlisle is investing $50 million over two years. Carlisle decided to measure the entire operation based on a key metric: DIFOT (Delivery In Full & On Time) and to the customer's specific demand. This metric made sense because it makes the customer the centerpiece of the entire operation. Nothing could stand in the way of meeting customer deliveries. Using DIFOT as a key metric also made it easier to analyze the results of changes they made along the way because they could measure performance in a unified way. Carlisle products no longer cross value streams on their way to the customer. All parts begin and end their process on a dedicated line. Carlisle had only partially used its ERP system's SFC capabilities, and much of the production scheduling had been managed in side systems or spreadsheets. They knew they needed to go to a paperless factory and a visual manufacturing production tracking software solution. That is why they began working with Factivity. According to James "JJ" Leet Jr., project lead at Carlisle, the number one thing Factivity brought to the project was simplified communication. Customer requests for a part, quantity and delivery date are communicated to the shop floor quickly via electronic dispatch lists with no delays. In addition, Electronic Kanban cards are scanned, and replenishment Kanban "orders" are immediately generated providing visibility to the "flow time" from Kanban scan initiation to Kanban completion on an item by item basis...a lean manufacturing WIP tracking system combined with production time tracking software. Now every employee could see the jobs in queue and the material status quickly and easily. The rule for selecting what to work on is simple: Start at the top of the list and work down. This enhanced focus on the customers' requirements helped improve DIFOT performance. No one who has been exposed to Carlisle's lean project would call the overall project simple -- after all, it included shutting down a plant and moving equipment cross country, increasing the size of an existing production facility in Cleveland, Ohio, as well as, the redesign of the factory floor layout and purchase of some new and additional equipment. But once the basics of an efficient process were in place, Carlisle was able to improve performance by making simple changes to established processes. Before the rearranging of the factory floor assets into lean manufacturing lines, known as value stream lines, Carlisle's production process was complicated, as could be seen by analyzing the routing files in its ERP system. Each item had its own unique router that might cover operations in five departments. Now, after the value stream rationalization, all operations on a router occur in a single work center, cutting down on move and queue time. Even better, they were able to build every product using a total of just eight routers because they had standardized the process. The company adopted a single overhead rate to simplify product costing even further. Not only does this reduction in quantity of routing data simplify costing and scheduling, it reduces the maintenance burden and helps prevent mistakes due to typos or omissions that could introduce errors into costs. Factivity's MES shop floor system includes a Documents Module or Paperless Factory that Carlisle uses to ensure that employees always have the latest procedures and specifications to work from. In many factories, the reliance on paper drawings, routings and procedures results in employees using outdated documents for production, causing increased scrap and rework. This unnecessary cost is eliminated with Factivity. Carlisle used a single raw material(s) issue into the first operation on its routings in Factivity, so all materials are accounted for in real-time. This prevents over reporting of materials consumed which resulted in inaccurate costs and erroneous inventory records in the past. The team at Carlisle analyzed the routings for each part and then examined the entire production process and broke every process into detailed process steps. These steps might have been as small as "pick up tool," but this level of detail enabled them to analyze the process and root out any non-value-added steps, no matter how small. The average process went from 230 steps down to 76 steps using this process, eliminating nearly two-thirds of the total lead time. As a result, their processes are much more standardized and streamlined and enable greater throughput. JJ Leet had this to say about his project: "We're one of several divisions at Carlisle. For them to make that kind of investment is a tremendous show of confidence and shows what companies can do to improve the production process and increase customer service levels. It's impressive to see that kind of investment in this day and age. I believe Lean has been a turning point for American manufacturing. Companies that have been able to adopt lean have found that they are highly competitive. This project is a real-life proof point that it is profitable and reasonable to manufacture in America."